Over on likes.com, they display "10 Extinct Creatures That Will Haunt Your Dreams" here. 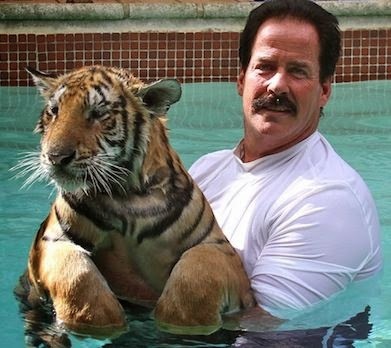 Also, on gawker.com, they like to remind us that there are "Tigers Roaming Free in Oklahoma" here. Finally, there is a website in French and English that purports to be a Medieval Bestiary which brings to light the animals in illuminated manuscripts here.